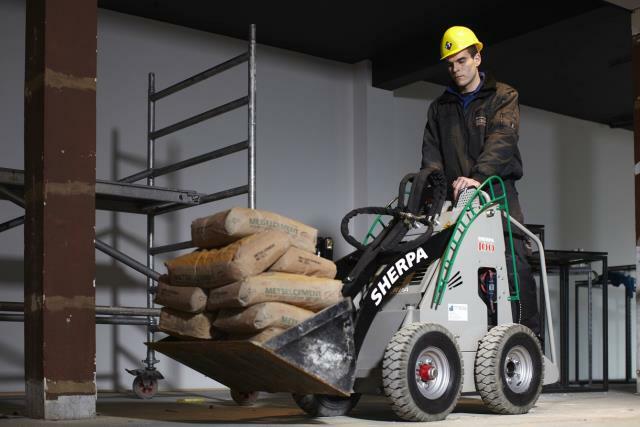 The Sherpa 100ECO is a battery powered mini skid steer. This unit is ideal for indoor use. * Please call us with any questions about our sherpa 100 eco electric skid steer rentals in the cities of Redwood City, Menlo Park, Palo Alto, San Mateo, San Francisco, Santa Clara and more.